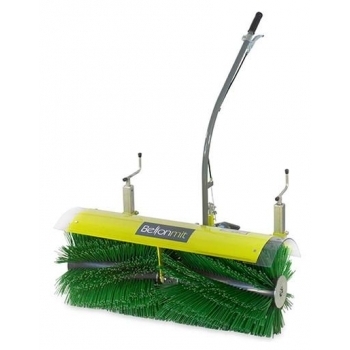 Manufactured by Bellon Mit, this 100cm wide powered brush is available with or without the collector, and is fitted with hard wearing nylon bristles which are mounted on rollers (one each side). 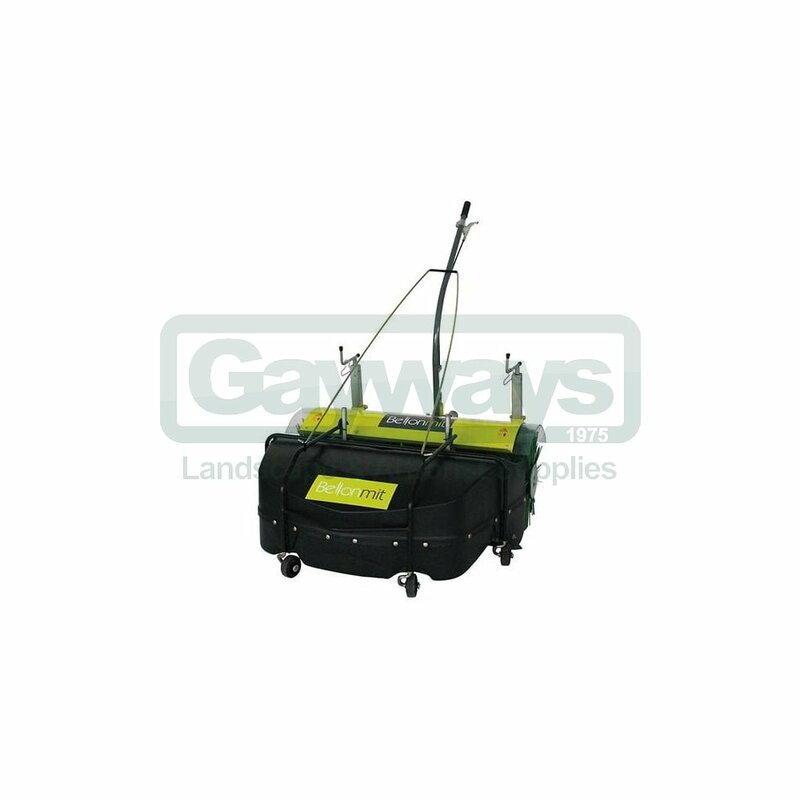 The rear castor wheels assist with manoeuvrability and also allow for easy height adjustment - simply rotate the handles to make the brush higher or lower. 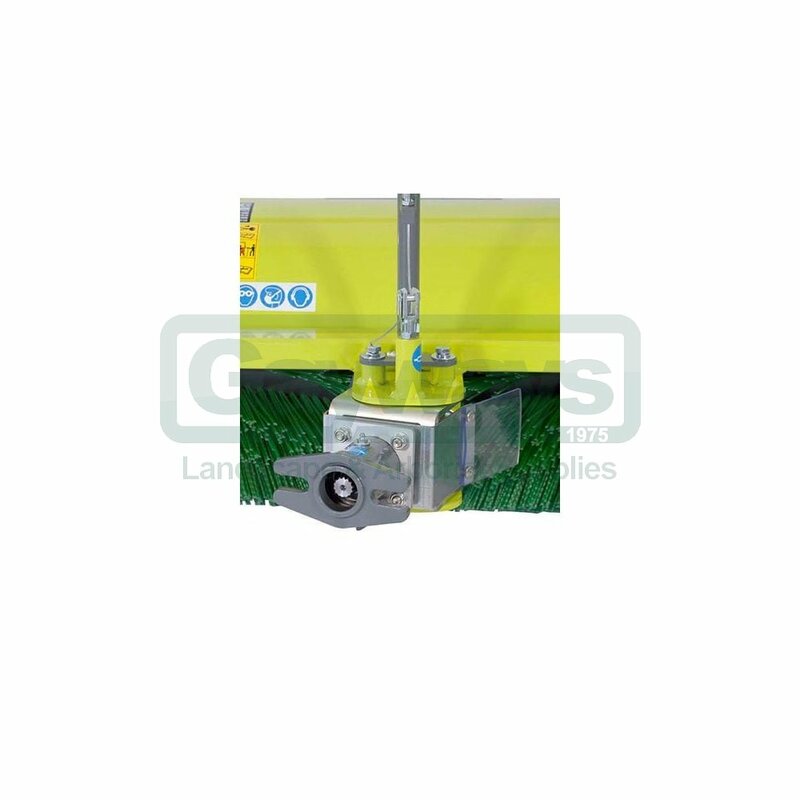 The working angle is easily adjusted either left, right or straight ahead using the conveniently located lever. 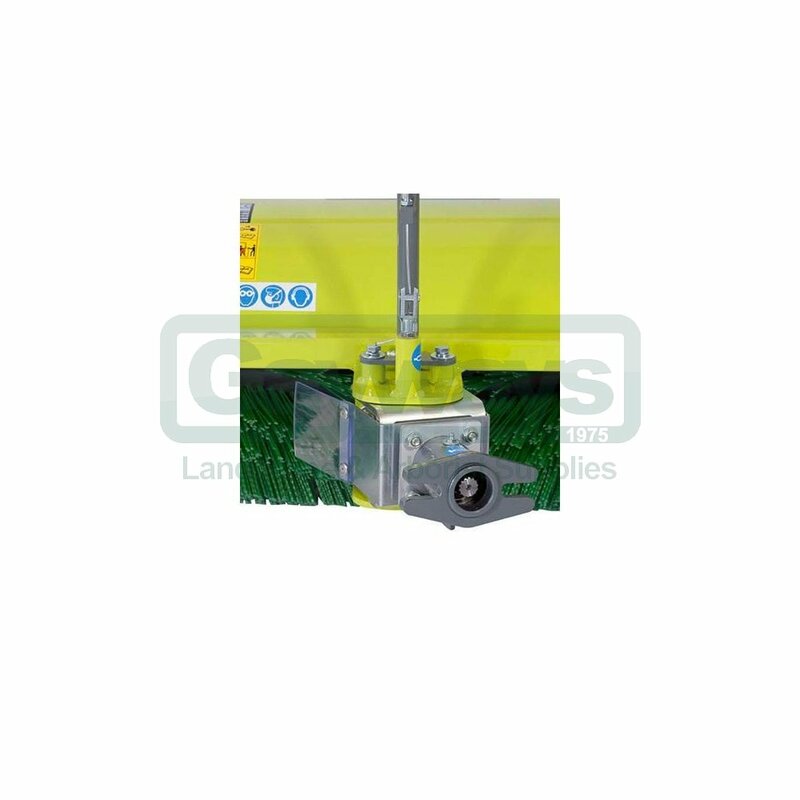 The large collector can be easily attached to the brush and is fitted with 4 castor wheels to assist with manoeuvrability. 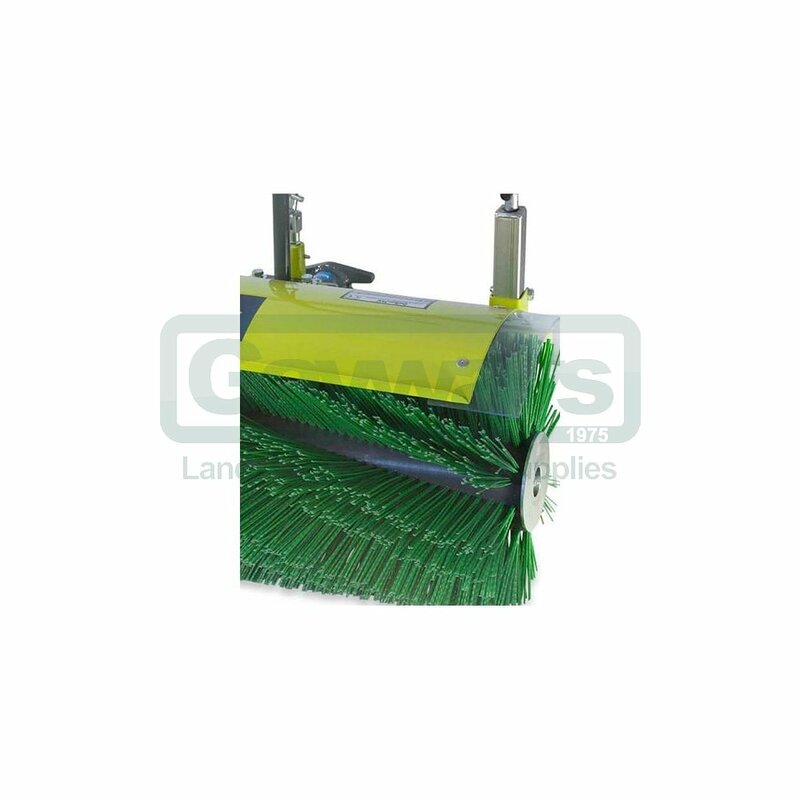 Because the brush is PTO mounted, it will also pivot separately to the tractor to follow the contours of the ground. 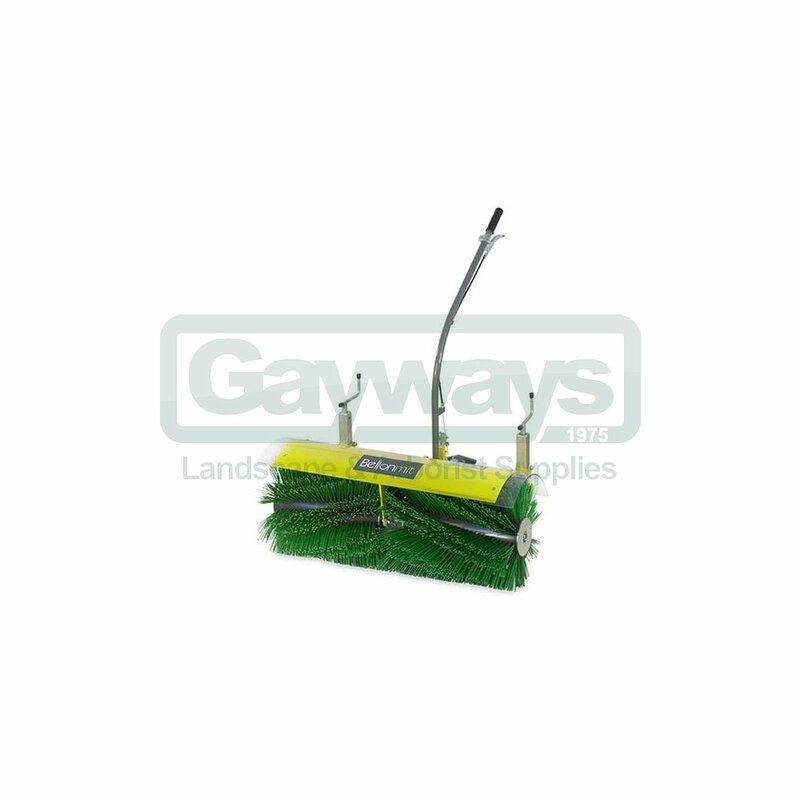 This powered brush is the ideal tool for many different sweeping applications including leaves, moss, mud, general debris, snow and more.